Heyyy! I'm back with a review for ya! This product is AH-MAZING. Let me tell you all about it. Everyone! I use it. My parents use it. Guys can use it. A great product for errbody to maintain healthy skin. Cure Natural Aqua Gel is made in Japan (it's Japan's No.1 selling skincare product!) and it works as an exfoliator. It is gentle enough to use on the face but effective to use all over the body as well. There are NO beads or physical exfoliating particles in the fluid so the exfoliation isn't achieved by the mechanical breakdown of dead skin. It promotes skin regeneration by removing all the dead skin and impurities on our face or body. You use it like any other exfoliator, around 1-2 times per week. The cool thing about this product is that you use it on a DRY face. So, wash your face with your cleanser and then pat dry. Afterwards, take a pump of the translucent fluid into your hands and gently massage it into your face in circular motions. You'll begin to feel small granules forming. Keep on working it all over your face and then wash it off. You'll feel that your face becomes super soft and smooth after! Finish off with your moisturizer. I would say that this exfoliator is high end and it would be product that would be found at Sephora (unfortunately it's not sold at any stores in Canada). My aunt purchased this for my family in Hong Kong for around 300 HKD, so it would translate to approximately $40. This can be purchased from the Watson's personal care stores. This can be ordered online or purchased in Asia though. I love using this to exfoliate my face because it's so gentle. I know that it won't be rough on my skin. I was previously using the St. Ives Green Tea Scrub as an exfoliator and that one uses physical beads in the product to exfoliate. The natural aqua gel is definitely not as abrasive and rough. There is no fragrance to it so people who are sensitive to scented products don't have to worry about that. My face feels so smooth and soft afterwards. With my acne scarring and hyper-pigmentation, the gel seems to soften the look of the scars so that they're not as visible (a bonus?). An exfoliator in general that doesn't have bits rubbing against the skin is always a better option. I haven't used up this bottle yet but since you only require one pump with each use, it can last for a while (you're using your money's worth!) I will definitely be repurchasing this. 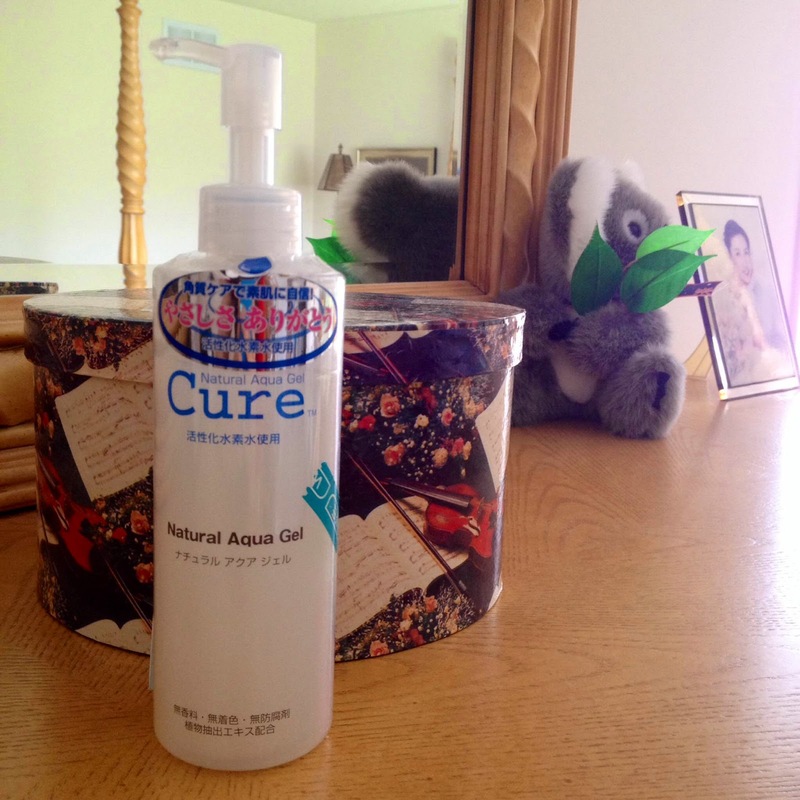 Do you have any other questions or comments about Cure Natural Aqua Gel? Or know of any other great exfoliators for me to try? Comment below!